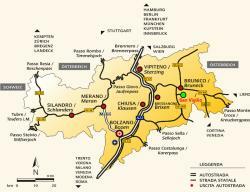 Brennero motorway (A22) until Bressanone, then 40 km on state road until San Vigilio di Marebbe. Pay attention at San Lorenzo di Sebato and Longega forkings. 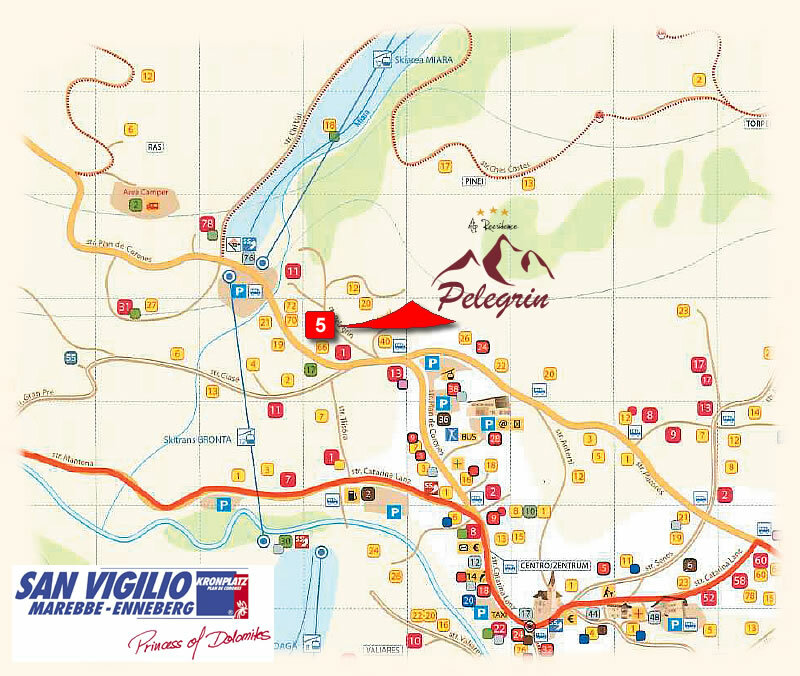 Railway and bus connections to San Vigilio di Marebbe: Rome – Bologna- Verona – Fortezza (not always) – Vandoies – Casteldarne – Brunico. Direct bus line from Brunico. Seasonally, direct railway line Rome – Brunico. Tank to air-liner from/to Bolzano, San Vigilio di Marebbe is now reachable in a moment. 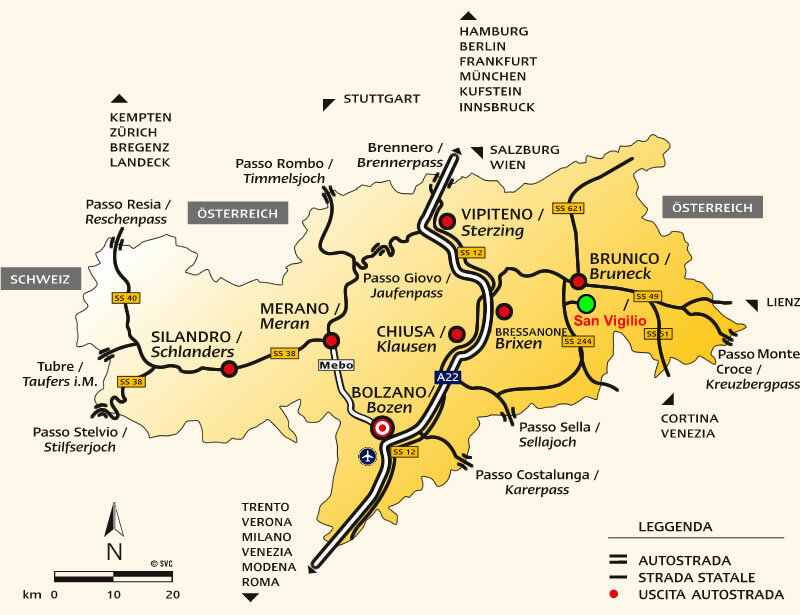 Bolzano airport is operating since 1999. From here air-liners to Rome – Frankfort – Linz – Vienna.